ESPN FC’s Alejandro Moreno shares his reasons why 35 year old Arjen Robben isn’t the best fit for Toronto FC and Major League Soccer. ESPN FC’s Alejandro Moreno gives his take on the latest big transfer rumours, including whether or not Paul Pogba is headed to Real Madrid. 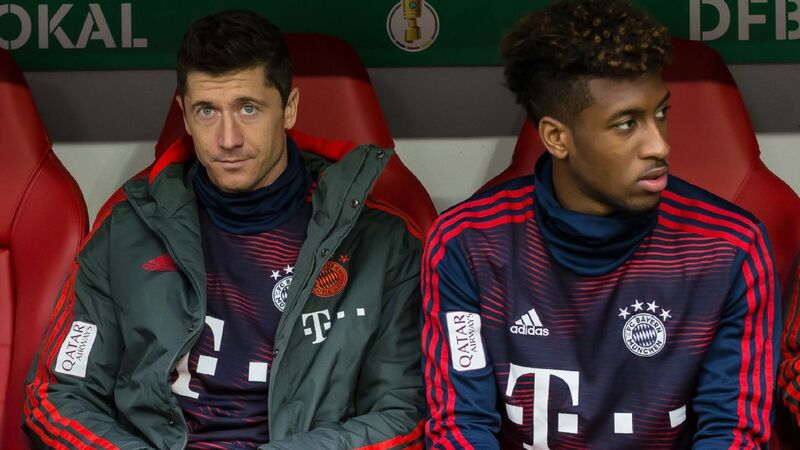 Bayern Munich coach Niko Kovac has played down a training ground bust-up between Robert Lewandowski and Kingsley Coman. Kovac said there had been “a scuffle” between winger Coman and striker Lewandowski on Thursday but no further action would be taken. “There was an incident during training yesterday. There was a scuffle between two players, and I discussed it with them after the session,” he said at a news conference ahead of Sunday’s match against Fortuna Dusseldorf. On Thursday, Bild reported that Lewandowski and Coman had clashed on the pitch at a behind closed doors training session. It said they were separated by Niklas Sule and Jerome Boateng before being allowed to continue training by Kovac. Bayern Munich coach Niko Kovac confirmed there was ‘a scuffle’ between Robert Lewandowski and Kingsley Coman. Meanwhile, Alphonso Davies could return to Bayern Munich’s squad on Sunday. The Canada international sustained a knee injury in March and has now been deemed match fit by Kovac. “He’s ready to return to the squad,” the Bayern coach said of the 18-year-old winger, who has scored one goal in five first team appearances since joining from Vancouver Whitecaps in January. Bayern reclaimed top spot in the Bundesliga with a 5-0 win over Borussia Dortmund last weekend, moving a point clear of their rivals.